Right... everyone knows Reason. There is tons of 'reviews' of it on the www... so I've added it into the listings so you can see it. 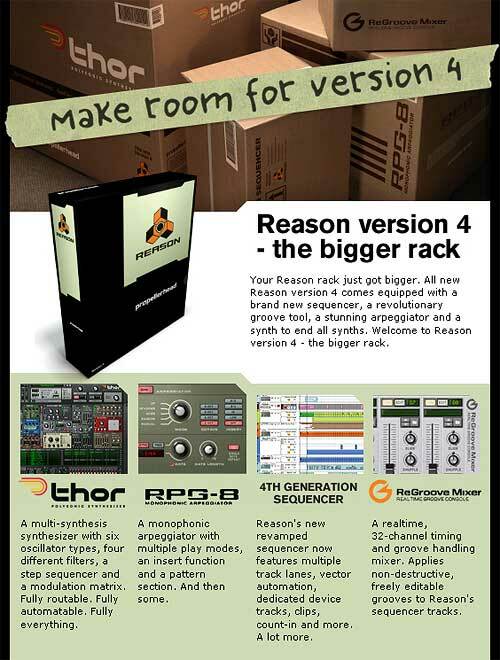 REASON is a s/w workstation offering a sequencer and a variety of sound modules you can add into the rack and sequence. It is a very deep programme - there is a sampler, synth, drumbox & Rexfile player - You can open as many instances of these items as your PC can stand. 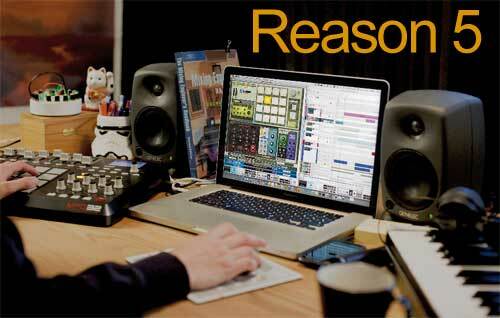 Reason saves all presets you create & saves everything for any given song. Reason's drums are especialy good. 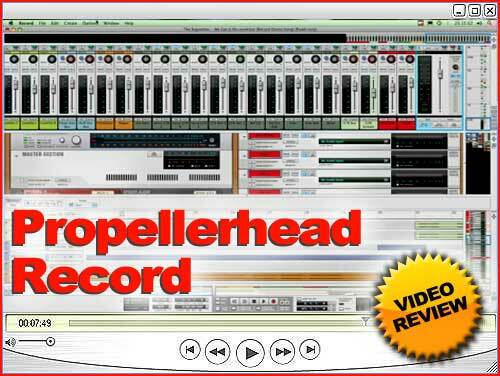 You get loads of samples on the sounds CD and kits can be created with ease and then saved as reference files which reference the specialy compressed audio-samples file. If you add or create your own samples to a kit, then at save, REASON saves the combinations of all samples as references, and all kit's can be exported complete with samples. Overall, the selection of samples is excellent, and this s/w can get you creating finished product out of the box. There is two articles on rewiring REASON - they are pretty in-depth with step-by-step images, so check it out cos it shows many things REASON can do & gives you a good feel of the s/w. I use REASON alot with VST because of it's ability not only to Rewire - so that the REASON audio channels appear on the VST mixer direct -... But also because with VST VR4 or above, you can actualy select the REASON Modules at the VST track headers and then sequence them as any other midi destination as if they were VSTI's!!... AND of course using the VST sequencer !! - excellent - again there is an article about this in-depth above. 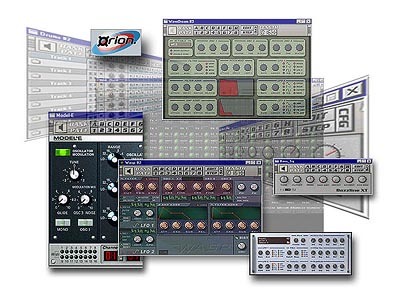 Reason offers up to 64 Rewire channels which means a max 64 physical outputs with a big DAT system interface. You can opt to use the REASON mixer and Rewire IT's L/R output to VST's mixer... OR... you can patch the REASON modules' outputs direct to the VST Rewire channel interface so they feed the VST mixer direct bypassing the Reason mixer. As a stand alone system it also is superb. 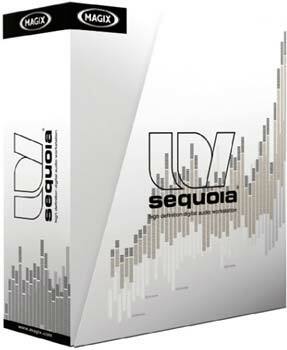 The sequencer is easy to learn and detailed enuff with decent features to work at a decent speed. 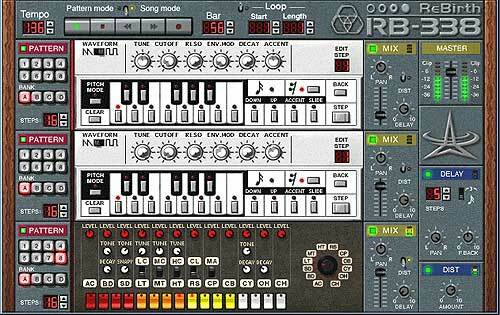 The sequencer is chunky & 'feels' robust whilst being also refined... a nice balance i'd say has been achived. Again... if previously you've toyed with amateur sequencer & s/w synths.. again, REASON is a great s/w to step up to as everything you need is there for serious compositions. That's the old 'review'. 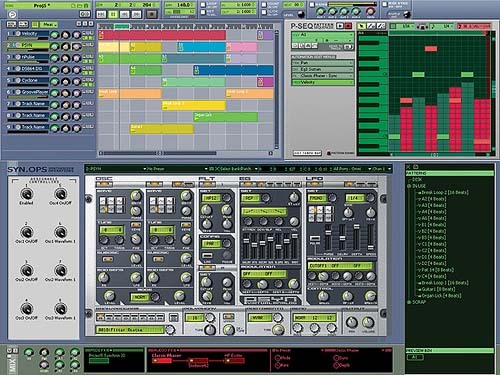 Been using Reason alot over the time since then and have only progressed to V2.5... I gotta get a newer version, but I tend to use it always reWired and for it's sound generators. Overall a great soft for many genres, but it does seem to excell at urban styles. For starters, I might ask for better than 16 bit, eh what?